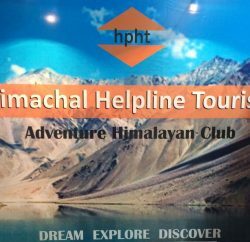 With a view to relish the flavor of cuisines of different regions of the country including Himachal, the Himachal Pradesh Tourism Development Corporation (HPTDC) is organizing a Food Festival’s at Hotel Holiday Home with attractive cultural evenings from 10th June to 19th June, 2011. 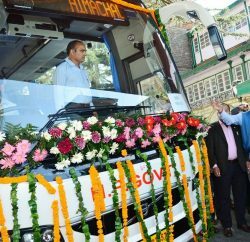 The Managing Director Vineet Kumar said that HPTDC has a custom of organizing Traditional Food Festivals and Cultural Evenings during peak season in its Hotels to attract more and more tourists. In this Festival, cuisines of various regions will got prepared by the Chefs of the related region and serve to the guests and locals. Especially, this time Avdhi dishes will be of more attractions. The special menu items listed for the festivals are-Veg. Kokori Kebab, Shahi Kebab, Golahti Kebab, Reshmi Kebab, Paneer Tikka, Kathal Tikka, Fish Tikka, Makki Seekh, Shammi Kebab, Chicken Lolly Pop, Fish Ajwain, Rogan Josh, Veg. Mugalai Korma, Shahi Subz Biryani, Rumali Roti, Hyderabad Biryani, Lucknowi Mutton Pullow & Mutton Sindhi Biryani. The items will be changed on daily basis, the MD further added. Fancy Fair Restaurant of the Hotel has been decorated especially with the Avdhi theme and live Bar-be-Que will start at 7 pm every day. 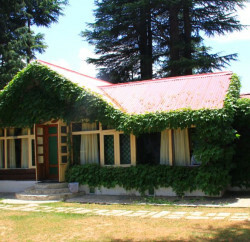 Live Cultural Programme, Gazal and Himachali Folk will be arranged for the entertainment of the guests. 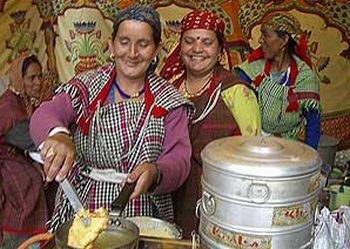 Vineet Kumar informed that A Himachali Dham will be a special attraction of the Food Festivals, which will be organized in the lawn’s of HHH and served in traditional Himachali style. In this Dham Himachali Dishes such as Chawal, Rajmash Madra, Chana Rentha, Sepu Vadi, Rongi Gobhi Dum, Aloo Anardana, Bedana, Kadu ka Khatta, Sajri Vadi, Gobhi Palda, Mewa Ka Mitha, Lingroo Dahiwala. Dhoi Dal, Khati Rongi, Dal Handi, Gandhyali Madra and Kadu ka Mitha will be make available to the guests. These also remain changing on day to day basis.